Who doesn't love a nice corner lot??? This piece of sunny Florida is literally minutes from US 41/N Florida Avenue, leading to the famous Rainbow Springs State Park, offering a crystal clear 70 degree year round swimming hole, beautiful waterfalls, & walking trails. The nearby town of Dunnellon provides shopping, restaurants and more. High and dry, sits 85+ ft above sea level! 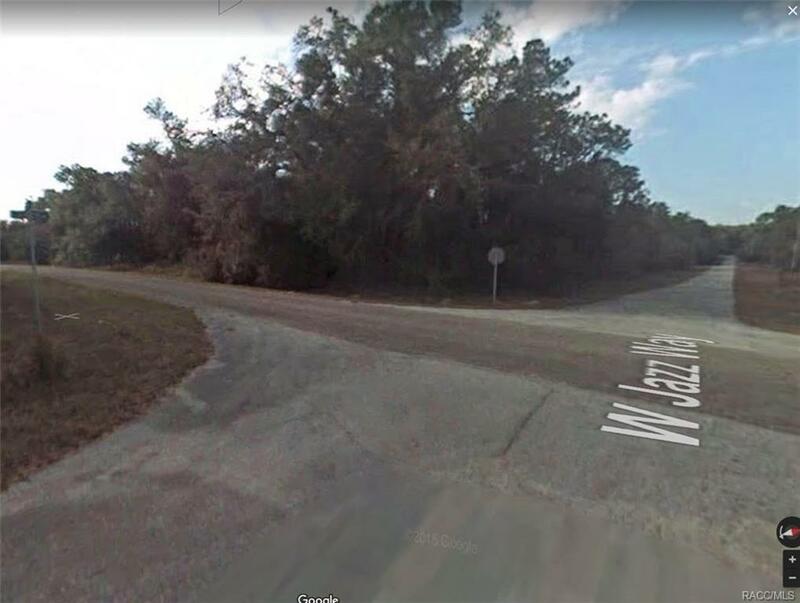 Citrus Springs has schools, churches, doctor's offices, tennis courts, baseball fields, play ground and access to the 46 mile paved Withlacoochee State Bicycle and Walking Trail. No mandatory HOA! PUBLIC WATER AVAILABLE!! HURRY, CALL TODAY!